This is one of the most systematic and thorough expositions of the Buddhist Philosophy. 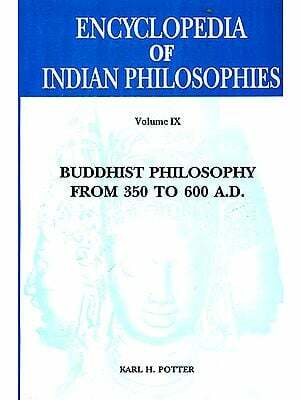 After giving a critical exposition to the Buddhism in Pali Cannon in its first part, it proceeds in the next two parts to discuss at length the Buddhist philosophy of both Hinayana and Mahayana Schools, with their sub-schools and declensions. Its fourth part is devoted to the study of the origin and development of Buddhist Logic. The author has made the work as comprehensive as is possible and familiarises the readers with the vast extent and subtleties of the subject with clarity and lucidity which is so characteristic of his style. Throughout, the work is profusely documented with references from original sources and contemporary critical literature. It is one of the 'must' books on Buddhist philosophy and is equally useful for both scholars and students. However, it was unfortunate that such a useful book remained out of print for a long time. Our reprint has been made by photo-offset process, from the original edition of 1923. We hope that it will receive the encouragement it deserves. To attempt a short account of Buddhist Philosophy in its historical development in India and Ceylon is a task beset with difficulties. The literature of the subject is vast in extent, and much of it buried in Tibetan and Chinese translations, which are not likely to be effectively and completely exploited for many years to come. The preliminary studies, on which any comprehensive summary should be based, have only in a few cases yet been carried out, and Buddhist enthusiasts in England have concentrated their attention on the Pali Canon to the neglect of other schools of the Hinayana and of the Mahayana. To these inevitable difficulties there has been gratuitously added a further obstacle to the possibility of an intelligible view of the progress of Buddhist thought. Buddhism as a revealed religion demand faith from its votaries, and for sympathetic interpretation in some degree even from its students. But it is an excess of this quality to believe, on the faith of a Ceylonese tradition which cannot be proved older than A. D. 400, that the Buddhist Canon took final shape, even in its record of controversies which had arisen among the schools, at a Council held under the Emperor Asoka probably in the latter part of the third century B. C., a Council of which we have no other record, although the pious Emperor has recorded with infinite complacency matters of comparative unimportance. To credulity of this kind it is of negligible importance. To credulity of this kind it is of negligible importance that the Canon is written in an artificial literary language which is patently later than Asoka, or that the absurdity of the position has been repeatedly demonstrated. Yet another, and perhaps more serious, defect in the most popular of current expositions of Buddhism is the determination to modernize, to show that early in Buddhist thought we find fully appreciated ideas which have only slowly and laboriously been elaborated in Europe, and are normally regarded as the particular achievement of modern philosophy. Now there is nothing more interesting or legitimate than, on the basis of a careful investigation of any ancient philosophy, to mark in what measure it attains conceptions familiar in modern thought; but it is a very different thing to distort early ideas in order to bring them up to date, and the futility of the process may be realized when it is remembered that every generation which yields to the temptation will succeed in finding its own conceptions foreshadowed. Truth compels us to admit that the adherents of Buddhism were intent, like their master, on salvation, and that their philosophical conceptions lacked both system and maturity, a fact historically reflected in the Negativism of the Mahayana. But instead of a frank recognition of these facts-of which Buddhism has no cause to be ashamed, for man seeks salvation rather than philosophical insight-we have interpretations offered to us as representing the true views of Buddhism, which import into it wholesale the conceptions of rationalism, of psychology without a soul, of Kant, of Schopenhauer, von Hartmann, Bertrand Russell, Bergson, et hoc genus omne. We are assured that Buddhism was from the first a system of subjective idealism, although history plainly show that such a conception slowly came into being and took shape in the Vijnanavada school which assails the realism of the more orthodox; we are equally assured that space was an ideal construction in the Buddhist view, though even in mediaeval Ceylon and Burma there is not a trace of the view, and it frankly contradicts the Canon and all the texts based upon it. It is easy to understand this attitude as a reaction against the still practically complete failure of western philosophers to realize that, if they claim to be students of the history of thought-as a priori they should be-they have omitted a substantial part of their duty, if they do not make themselves reasonably familiar with the main outlines of Indian philosophy. But it is unphilosophical to exaggerate or distort, even in a just cause. 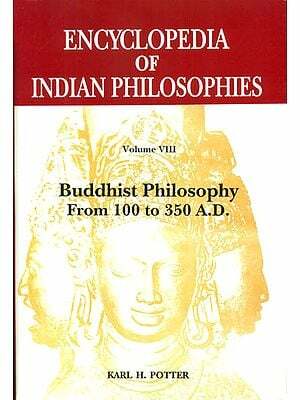 Indian philosophy has merits of its own far from negligible, which are merely obscured by attempts to parallel the Dialogues of the Buddha with those of Plato, and the undeserved neglect which it has suffered in the west is largely excusable by the unattractive form in which Indian ideas are too often clothed. My chief obligations, which I most gratefully acknowledge, are to the writings of the late Professor Hermann Oldenberg and of Professor de la Vallee Poussin; of others mention is due to Professor and Mrs. Rhys Davids for the admirable translations which more than redeem the defects of the texts issued by the Pali Text Society, and to Professors Beckh, Franke, Geiger, Kern, Oltramare, Stcherbatskoi, and Walleser. To my wife I am indebted for both criticism and assistance.